Hey, Amy. I've been trying to get in touch with you. What's happening in the 19th century these last few days? You should be all settled again in the house you live in. Everything should be quiet and back to normal by now. What? You're packing? To go where? To go back to where Charlotte's been staying since they kicked her out of here cause they figured she was just a maid they could get rid of. And don't give me a hard time about it. I've totally made up my mind. The lady of the house had a bunch of women over yesterday and all they did was dis Charlotte. You shoulda heard what they said. It was freaking insane. Amy! For heaven's sake, use your head. I put you in a wonderful house surrounded by an upper class family that cares for you and will continue to ... as long as you behave in a way that's expected of you in 1868. Prim and proper is how you need to act. Stop this silliness right now. Look at how fortunate you are! Don't you realize how many young women would die to be in the position you're in right now? If you leave this house without the permission of the lady and master, you'll probably never be able to return. You can't just up and leave. Think of what you're doing! It's absolutely impossible. Yeah? Well me living here is all on you. Leave me alone. Seriously. I gotta go while the lady and master of the house are still out somewhere having lunch or whatever. How are you even doing this? How are you getting to the town? Simple. I asked the man and woman who deliver food and stuff to this house if they would take me. And they said okay cause they were heading back there anyway. And if you're gonna make me stay in the past, *sneer*, then I wanna be with Charlotte. 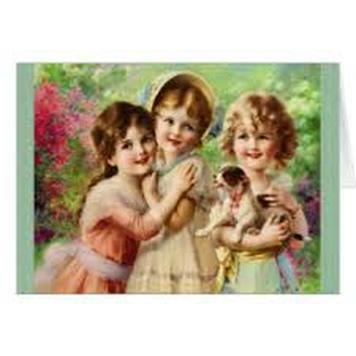 Friendships between women in the 19th century, when you currently exist, encourages one another to explore and question society's rigidity regarding the social norms directed at them. Emotional ties between young women are easily and routinely formed during this time, and are needed for the type of intimacy only friendship can supply. During upper class Debutante balls, for instance, the debutante is expected to invite her best girlfriends to attend with her, where they will dress up, chatter amongst themselves as much as possible and stay up late encountering and sizing up possible suitors they will discuss at length at a later date. Although there is little information written regarding female relationships in Victorian times, novels of this period reflect the most successful young women as having a close girlfriend, or at least, a strong female network surrounding them.